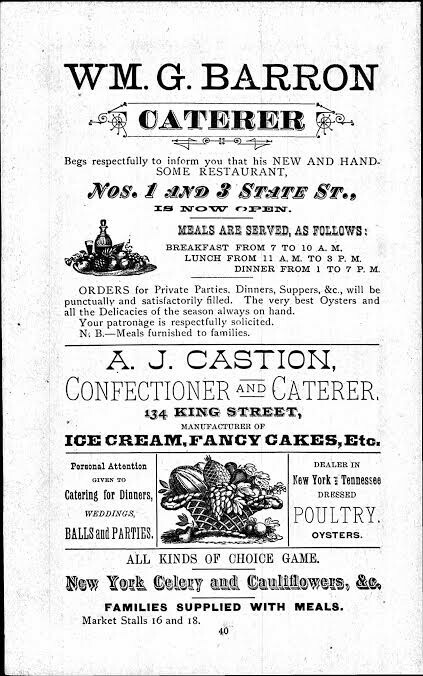 A flyer promoting A. J. Castion’s shop at 134 King St., as printed by the Charleston City Paper. David S. Shields, drawing upon his research for The Culinarians: Lives and Careers from the First Age of American Fine Dining (forthcoming; Fall 2017), and in honor of Black History Month, put together this list of every black restauranteur in the city of Charleston, South Carolina, from 1880 to 1920 (first printed in the Charleston City Paper, and now run in full below). To read more by David S. Shields, click here.